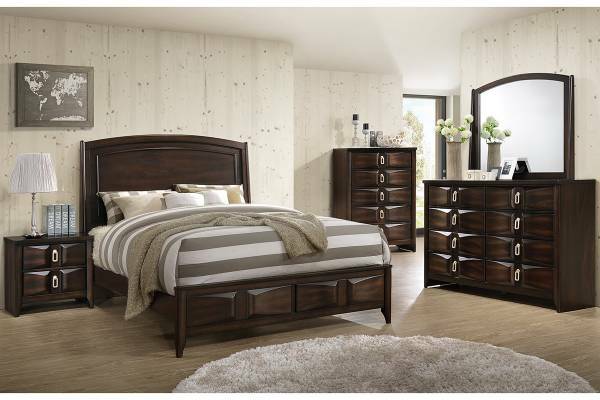 This quality five pieces bedroom set is designed to instantly transform your bedroom into an elegant space of leisure and comfort. 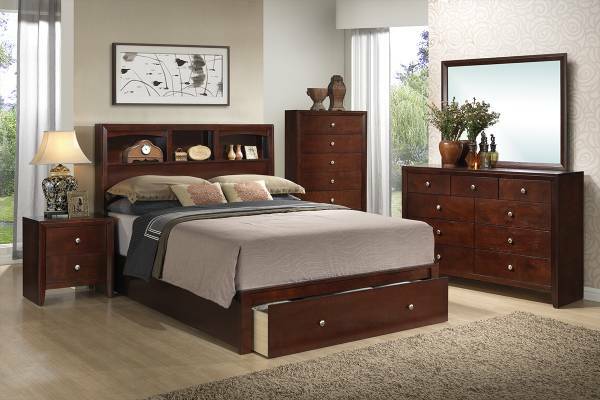 The set includes optional Queen/CA king/E.King bed frame, nightstand, chest, dresser and mirror. 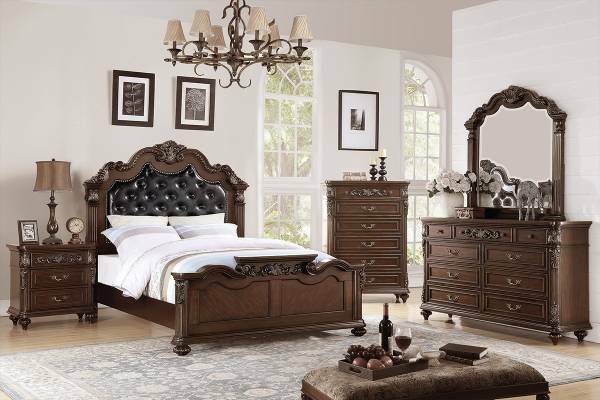 With the classic circular pattern matching with the drawers knob, the pattern also complements the eclipse patterning button tufted headboard to compete a American traditional look. 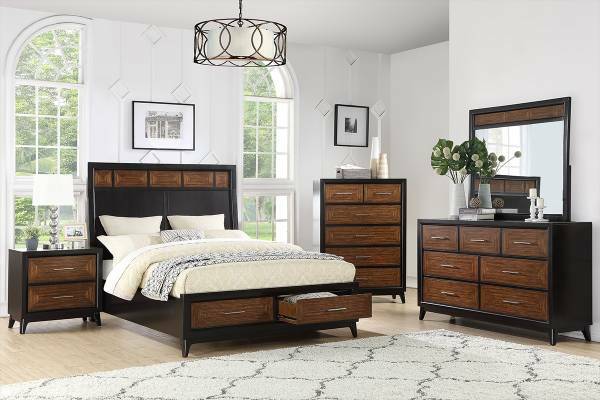 However, the stainless steel legs for each piece of furniture brings a hint of contemporary style to contrast with the whole room decor. 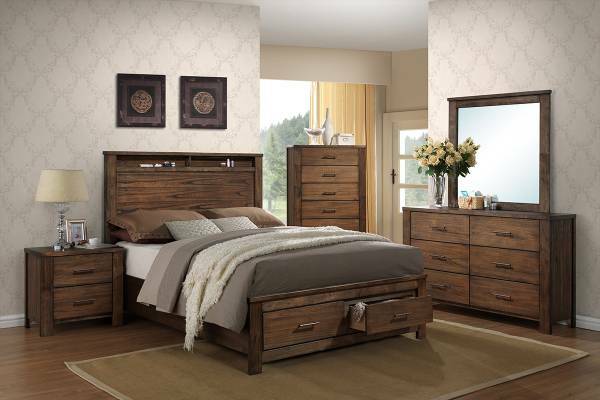 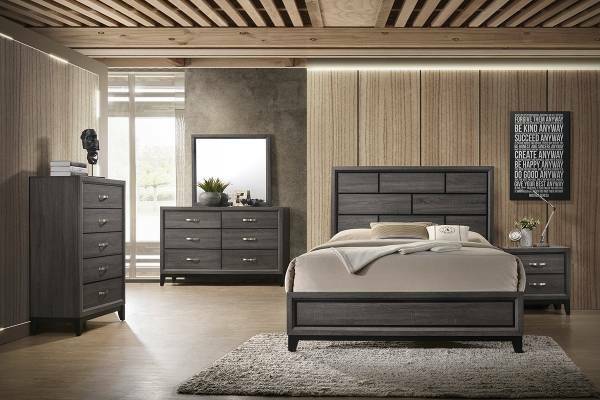 Embrace this unique bedroom set to bring a sense of subtle elegance to your space.